Fill-Rite SS417B 12V DC Series 400 Dual Diaphragm Chemical Pump has special chemical-resistant seals and gaskets, and is made to stand up to chemicals. Fill-Rite FR410B 12VDC Electric Diaphragm Pump dispenses up to 13 GPM (49 LPM). Ideal for used with waste oil, gear oil, lube oil or hydraulic fluid. 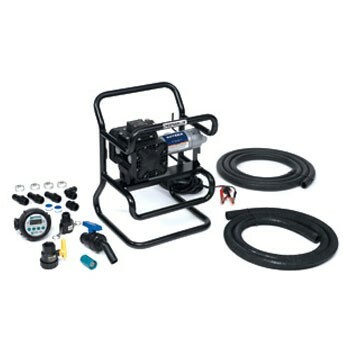 Fill-Rite FR450B 115V AC Electric Diaphragm Pump dispenses up to 13 GPM (49 LPM). Ideal for used with waste oil, gear oil, lube oil or hydraulic fluid. 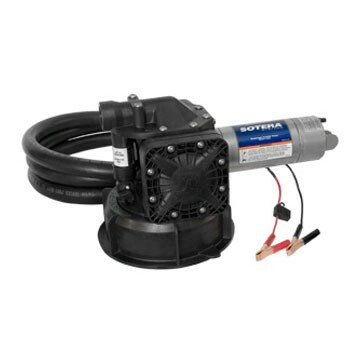 Sotera SS465BX713 115V ACChemtraveller Pump with Bottom & Top Suction has special reciprocating, spring driven configuration that maintains constant pressure regardless of load. Delivers up to 13 GPM. For used with herbicides, pesticides applications. 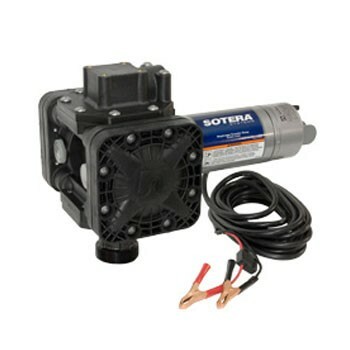 Sotera SS465BEXP 115V AC Chemtraveller Pump has an explosion proof motor. Delivers up to 13 GPM. For used with herbicides, pesticides applications. 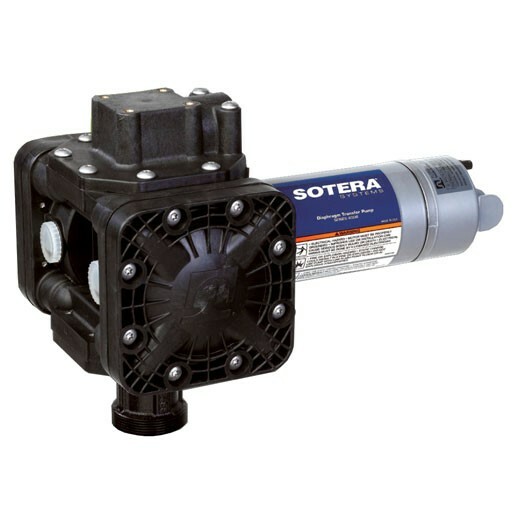 Sotera SS460B 115V AC Diaphragm Chemical Pump has special reciprocating, spring driven configuration that maintains constant pressure regardless of load. Delivers up to 13 GPM. For used with herbicides, pesticides applications. 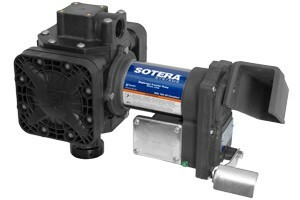 Sotera SS460BX674 115V AC Diaphragm Pump with 90° Flange has special reciprocating, spring driven configuration that maintains constant pressure regardless of load. Delivers up to 13 GPM. For used with herbicides, pesticides applications. 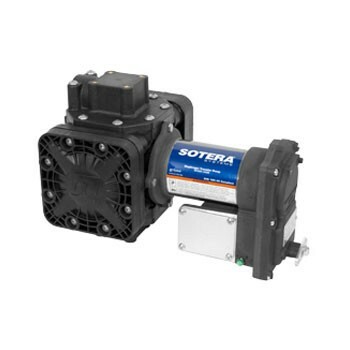 Sotera SS460BX731 115V AC Diaphragm Pump with Motor Bracket has special reciprocating, spring driven configuration that maintains constant pressure regardless of load. Delivers up to 13 GPM. For used with herbicides, pesticides applications. 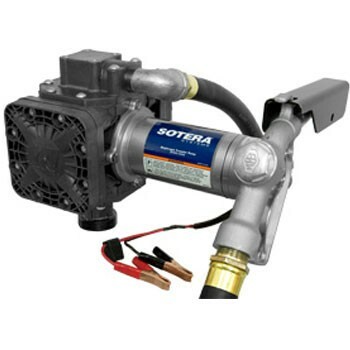 Sotera SS460BX731PG 115V AC Pump-N-Go Diaphragm Pump with Motor Basket has special reciprocating, spring driven configuration that maintains constant pressure regardless of load. Delivers up to 13 GPM. For used with herbicides, pesticides applications. Sotera SS415BX670 12V DC Chemtraveller Diaphragm Pump has special reciprocating, spring driven configuration that maintains constant pressure regardless of load. Delivers up to 13 GPM. For used with herbicides, pesticides applications. Sotera SS435BX675 12V DC Chemtraveller Diaphragm Pump has special reciprocating, spring driven configuration that maintains constant pressure regardless of load. With 850 Flow Meter, this pump can deliver up to 13 GPM. Sotera SS435B 12V DC Diaphragm Chemtraveller Pump has special reciprocating, spring driven configuration that maintains constant pressure regardless of load. Delivers up to 13 GPM. 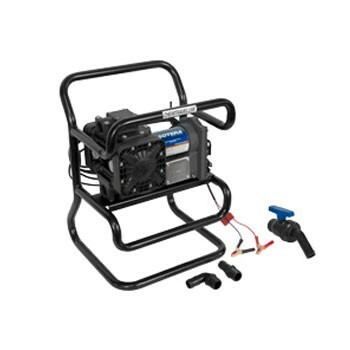 Comes with portable tubular frame with top and bottom tote adapter kits. 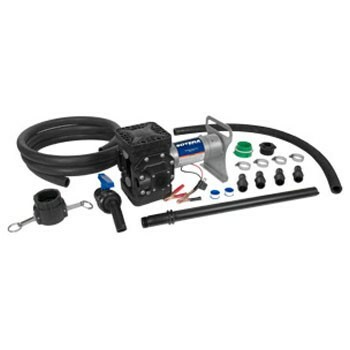 Sotera SS415BX731PG 12V DC Diaphragm Pump Pump-N-Go Kit, comes with Motor Bracket. Delivers up to 13 GPM. For used with herbicides, pesticides applications. Sotera SS415B 12V DC Diaphragm Pump with 2" NPT Bung Adapter has special reciprocating, spring driven configuration that maintains constant pressure regardless of load. Delivers up to 13 GPM. For used with herbicides, pesticides applications. Sotera SS420B 12V DC Diaphragm Pump with 2" NPT Connection delivers up to 13 GPM. For used with herbicides, pesticides applications. Sotera SS415BEXPX670 12V DC Explosion Proof Diaphragm Pump delivers up to 13 GPM. For used with herbicides, pesticides applications. Motor is UL listed, Explosion Proof. 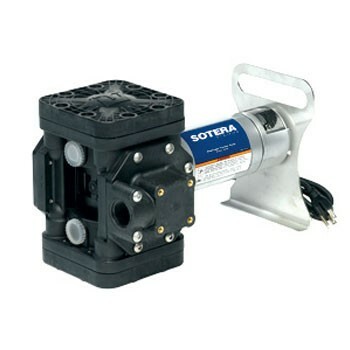 Sotera SS415BX731 12V DC Explosion Proof Diaphragm Pump w/ Motor Bracket has special reciprocating, spring driven configuration that maintains constant pressure regardless of load. Delivers up to 13 GPM. Motor is UL listed, non-explosion proof. 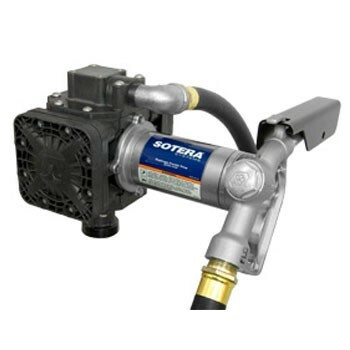 Sotera SS445B 12V DC Mix-N-Go Diaphragm Pump with Recirculation System built in has special reciprocating, spring driven configuration that maintains constant pressure regardless of load. Delivers up to 13 GPM. Sotera SS435BEXPX703 12V DC Syltone Explosion Proof Diaphragm Pump delivers up to 13 GPM. For used with herbicides, pesticides applications. Motor is UL listed, Explosion Proof. 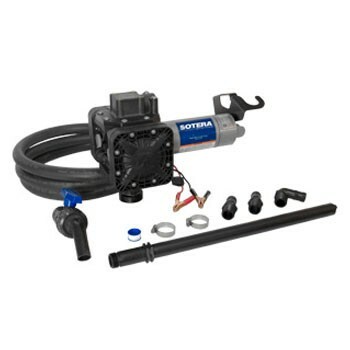 Sotera SS435BX713 Chemtraveller with Bottom & Top Suction Adapter Kits has special reciprocating, spring driven configuration that maintains constant pressure regardless of load. Delivers up to 13 GPM. For used with herbicides, pesticides applications. 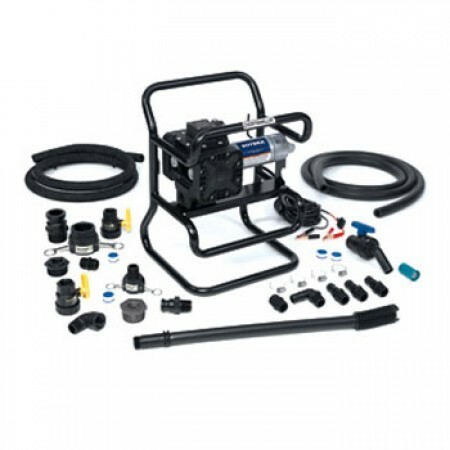 Sotera SS419BX66512V DC Hytrel Diaphrapm Pump with Monsanto Coupler has special reciprocating, spring driven configuration that maintains constant pressure regardless of load. Delivers up to 13 GPM. For used with herbicides, pesticides applications. 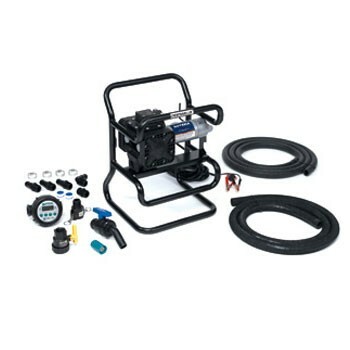 Fill-Rite FR205B 24VDC Electric Diaphragm Pump dispenses up to 13 GPM (49 LPM). Ideal for used with waste oil, gear oil, lube oil or hydraulic fluid. 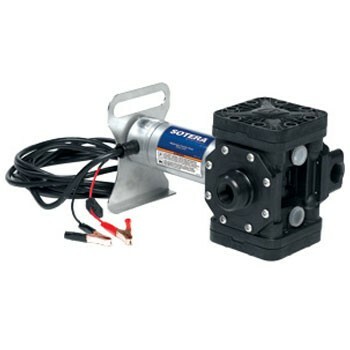 Fill-Rite FR210B 24VDC Electric Diaphragm Pump dispenses up to 13 GPM (49 LPM). Ideal for used with waste oil, gear oil, lube oil or hydraulic fluid. 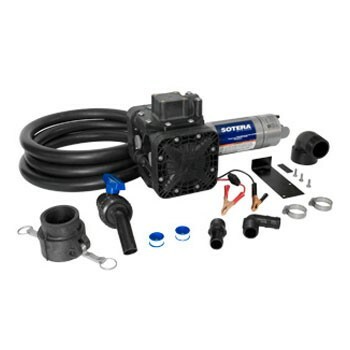 Comes with Suction Tube, 1"x12' Hose, Manual Nozzle and Nozzle boot. 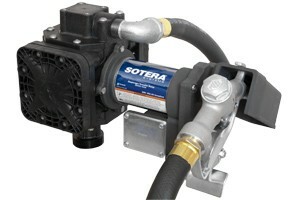 Sotera SS435BX700 12 V DC Chemtraveller with EPDM Seals delivers up to 13 GPM. Comes with a 20' battery cable, 1" x 8' and 1" x 12' EPDM hoses with nozzle valve and digital meter. 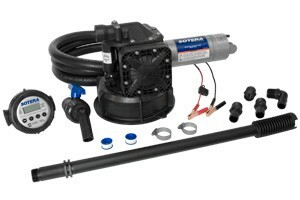 Sotera SS445BX727 with Recirculation System built in, has unique reciprocating, spring driven configuration that maintains constant pressure regardless of load. Delivers up to 13 GPM. For used with herbicides, pesticides applications. 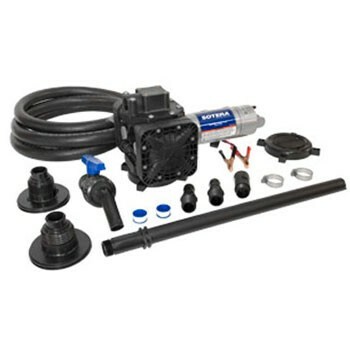 Comes with suction tube, 825 Digital Meter, 1"x12' EPDM hose and shutoff ball valve.